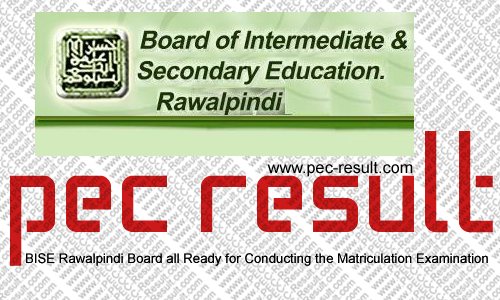 The board of intermediate and secondary education, Rawalpindi has completed all its preparation for conducting the examination of the matriculation for the academic year of 2014. Prof Ghulam Muhammad Jhaggar who is the chairman of the board of Rawalpindi has said that the total number of the students who have aspired to appear in the examinations are 102,939 from which the number of the regular candidates are 64,339 and the private candidates are 38,600. He added that the board has established the total number of 338 examination centers in all over the jurisdiction of the board. 129 of the total board are for boys, 132 are for girls whereas 77 of the examination centers are joint centers for both boys and girls. He also added that we have developed a special cell which will deal the complaints we might receive about any malfunctioning in any of the examination centers. The students who are willing to appear in the examinations of intermediate HSSC are given some more days to submit their registration forms. The board has also extended the date of fee submission for the annual examinations. The new date has been set to the February 17 for the part 1 and part 2 students. February 24 is the last date for those students who will be submitting the double fee for the examinations where as those who will still not be able to submit their form will have to pay the fee triple times of it by February 28.